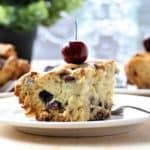 White Chocolate Cherry Cake is a light, fluffy, tasty ,gluten free cake. 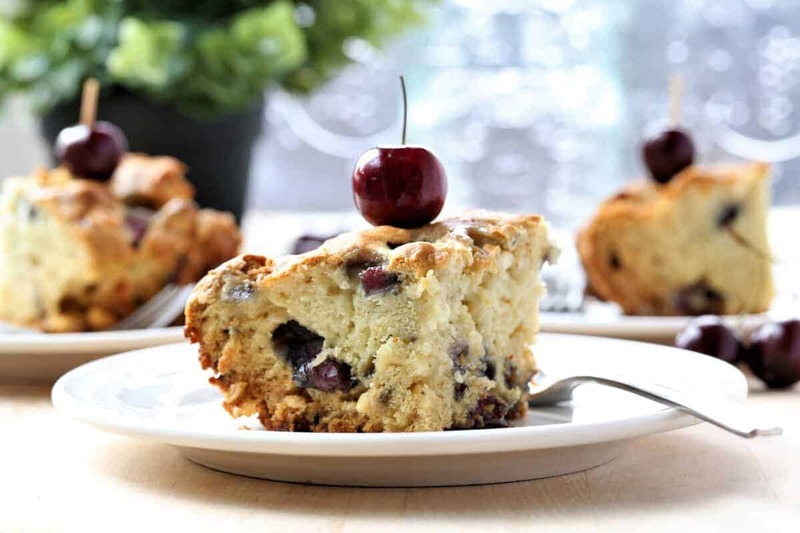 Yes, I bought a lot of beautiful cherries this week, so that means two recipes that feature this delicious fruit, White Chocolate Cherry Cake and Chocolate Chip Cherry Muffins. Fresh, tangy cherries are only available this time of year, so don’t miss out on this delicious treat. Vegan, gluten free and dairy free. 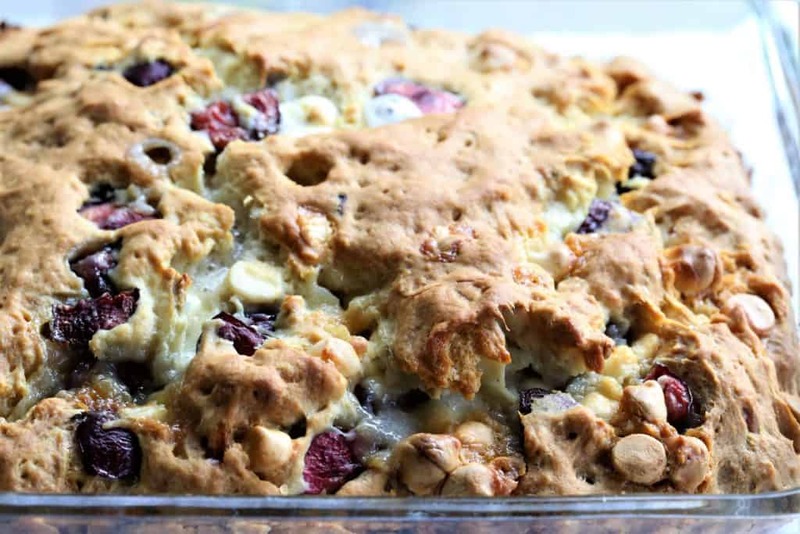 White Chocolate Cherry Cake. Just as delicious as it looks. Vegan, gluten free,dairy free. Pour mixture into 9x9 square pan oiled with coconut oil. Bake at 350 degrees for 45 minutes, or until toothpick is dry. 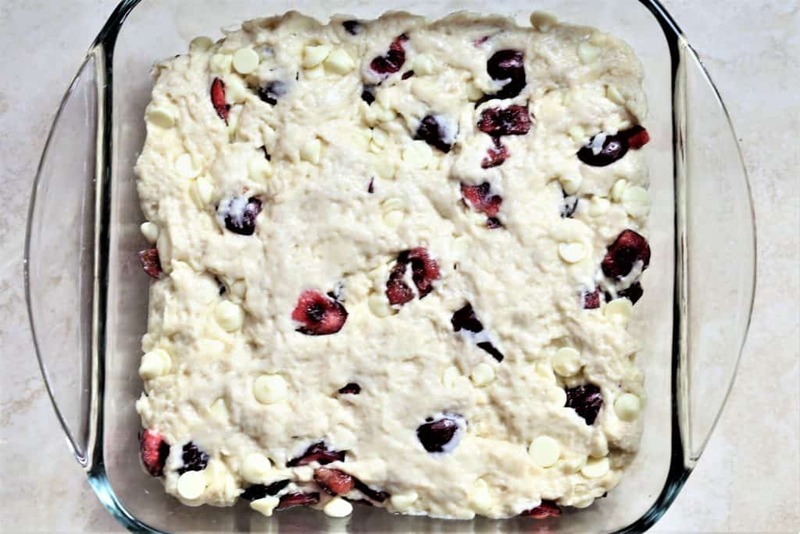 If you prefer muffins or chocolate with your cherries, see Cherry Chocolate Chip Muffins.